If you’re the parent of a highly sensitive child, it’s likely that you’ve noticed their sensitivities from an early age. Sensitive children tend to prefer quiet environments to noisy play and they are often very inquisitive and perceptive when it comes to the emotions of others. Although these personality traits may create difficulties when it comes to socialization, they are actually incredibly positive attributes which, when approached in the correct way, can result in highly creative, intelligent and compassionate individuals. Here, we will take a look at how you can nurture a sensitive child. Having a sensitive child can be frustrating when it comes to social situations, as they have a tendency to shy away from others and take any slight criticism very personally. However, by focusing on the positive elements that your child’s sensitivity brings, rather than on the difficulties it causes, you can teach them to make the most of their skills and manage their emotions in a healthy manner. You should nurture their creativity and encourage their caring nature, whilst at the same time gently showing them that failure or disappointment can be viewed from a positive angle. Sensitive children tend to react badly to discipline as they take it very personally, which is why it is best to reason with your child and help them to develop coping mechanisms when they become stressed or frustrated, rather than shouting at them or punishing them. Check out an article from Psychology Today for more great insights on how to deal with a sensitive child. As sensitive children tend to have difficulty when it comes to social interactions, their early education can play a pivotal role in their approach to schooling and classmates. By finding a preschool who will take the time to understand and nurture your sensitive child, you can ensure that they do not get left behind by others. Guardian preschool programs are particularly good in this element as they take a tailored approach to learning and socialization. 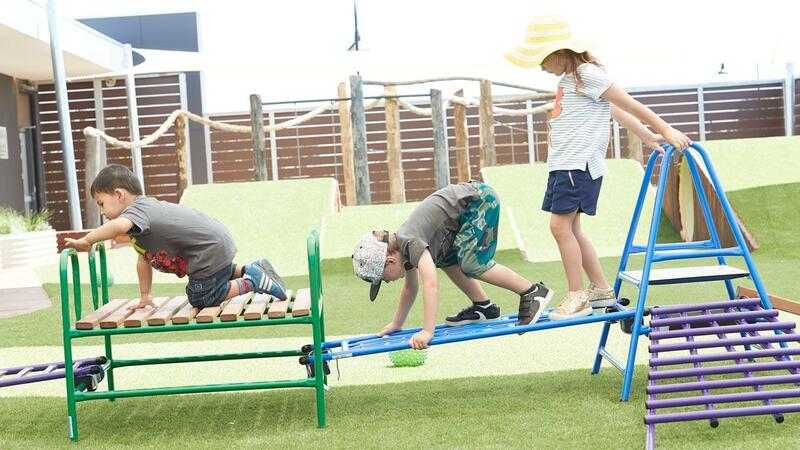 Their focus on outdoor play is particularly useful for sensitive children, as they are often interested in nature and learning, so this can provide a great way for them to share their interests with other children and develop friendships in a calming environment rather than a crowded and noisy classroom. When it comes to sensitive children, finding the right coping mechanisms to help them deal with their emotions and frustrations can be incredibly valuable. Psychologists often suggest utilising breathing techniques to help calm a child down in a stressful situation, such as being in a noisy crowd. Likewise, techniques such as counting down from ten when they feel like it is all getting too much can give them the head space they need to restore a feeling of calm and control. It is important for sensitive children to feel understood and they often react best when spoken to in a more adult manner. By getting to the root of exactly what has upset your child and working with them to find solutions or restore their happiness, you can ensure that they feel valued and cared for whilst at the same time helping them to develop their own effective coping mechanisms. Although having a sensitive child can be hard work at times, it is an incredibly valuable feature that should be nurtured accordingly. By helping your child to develop ways of dealing with their emotions and ensuring that they are in an education system which understands their needs, you can allow your sensitive child to make their way in life.